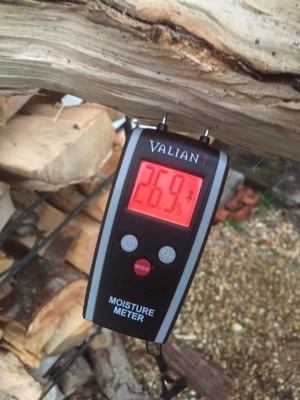 How dry is your wood ? Burning wood with too high a moisture content leads to black glass, tar deposits in chimneys, rubbish heat output, less pollution and is a total waste of money..
After all water doesn’t burn ! 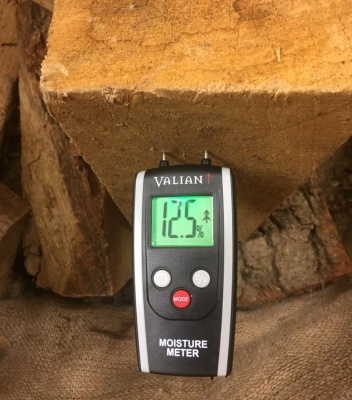 Properly seasoned and kiln dried wood should be no more than 20% moisture content. 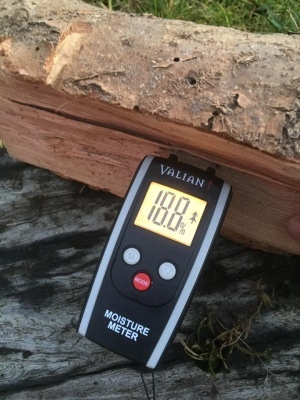 However, it can be hard to know what moisture content is in a log ... especially if it is at the top or bottom of a log pile. 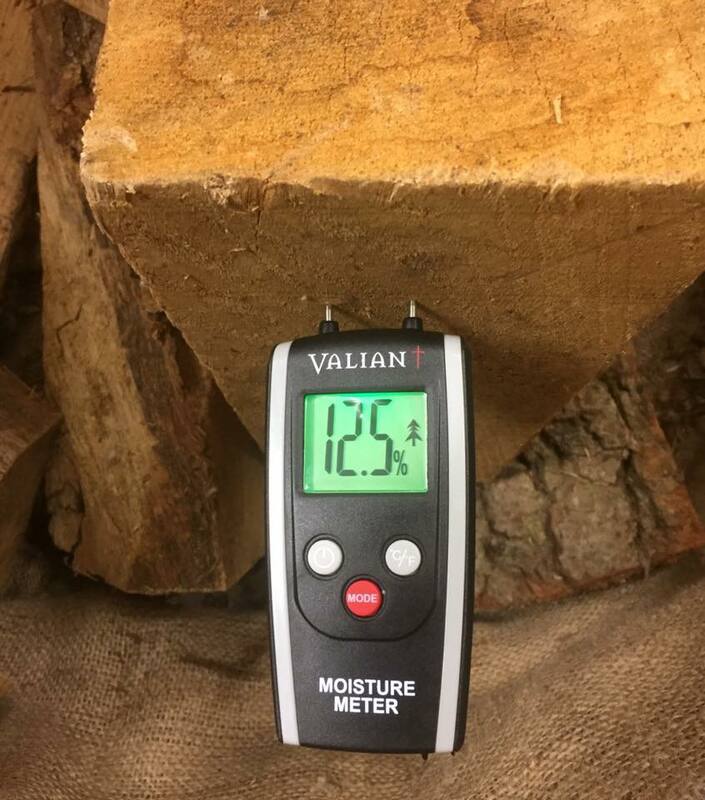 These Valiant moisture meters run on a traffic light system of green (low moisture - perfect), Amber (ok to burn) and red (too high) and also show the percentage of moisture in your logs.